Dr. Pauc, thank you for everything you did for Daniel. You have changed his life completely. When we came to you, we trusted your system to work and we were expecting a gradual and subtle change. However, we started seeing unbelievable changes in Daniel almost immediately. In 2012, Daniel was in the beginning of year 5 at our first meeting. Although he loved books, he could not read more than a small paragraph or two before complaining about a headache or falling asleep with the book still in his hands. Therefore, I always read to him which meant our reading time was very much limited to late evenings and school holidays. In the second week of starting Whack The Alien program, Daniel settled in bed with a Michael Morpurgo’s Cool around 8pm. I couldn’t read to him that evening, which happened now and again, so I said my goodnight and headed downstairs. When I came back at 10pm, lo and behold, Daniel was still reading! I gaped at him utterly speechless. He smiled and apologised for not sleeping. It turns out, he loved the book so much he could not put it down! He neither had a headache nor felt sleepy. That evening spelt the beginning of the wonderful pleasure of enjoying a book all by himself. He reads every single day no matter what. We are now in July 2015 and he has read hundreds of books without any exaggeration. He read most of Roald Dahl books; a lot of Michael Morpurgo’s books; over twenty Animorphs books; most of the books in the Horrible series; all the Wimpy Kid’s diaries and these are some of the sets I remember. Of course there are all the miscellaneous books he gets from school, some classic books like Alice in wonderland and now currently he is reading the fourth book in the Harry Potter series! Nowadays, I have to threaten to take the book away so he can sleep because if left to his devises, he won’t sleep until it’s way past midnight and that’s if it is a school day! Another break through was riding a bike. Since he was a toddler Daniel always had a bicycle but he never mastered the pedals. We couldn’t understand why he found it so difficult until you explained to us the problem he had with his balance. I suppose that was the ‘dyspraxia’ side of his problem. Well again, within a few weeks of him doing the stairs and brushing teeth exercises, one day he just got on his bike and rode it, properly. Now he rides like a mad boy even standing up! He was awarded a certificate for all three levels from a company called ‘Bikeability’. They are professionals who are invited by schools to teach pupils in year 5 and 6 how to ride a bike safely in the roads. The last level is done in high school because it is the most challenging one. Daniel and his group were taught how to be safe on roundabouts and steep hills, amongst other things and he loved it. I was informed that he was very good. As pleased as I am with that, I am not prepared to send him out on his bicycle to ride the 3 miles to school which he wants to do! I believe the roads round here are congested with big vehicles and not at all safe for an individual on a bicycle. About a year later, at the beginning of year 6, we had the usual parent/teacher meeting with Daniel’s teacher. Although she talked highly of his behaviour etc, she showed no confidence in his ability to do school work. As she was the deputy head of the school she knew him well and thus prejudged him before even giving him a chance as her student. She predicted he will finish primary school at level 4 and that she will push him to hopefully reach level 5. It was quiet a disheartening meeting. I knew he had it in him and when I worked with him at home I have seen big changes. Since starting with you, his spelling skills improved a lot; he started using cursive handwriting which he struggled with previously and the duration of his concentration was getting longer and longer. Six weeks or so later we pulled him out of school because they were not putting any effort towards him. We were advised against it by a number of people who said that he will get worse in a new school and that we should hope for the best when he joins high school! I home schooled him for about three months while we looked for a better school. Luckily and very quickly, we found a school which was awarded ‘outstanding’ by Ofsted and which was happy to enrol him immediately. His new teacher was magnificent! Within a month, Daniel made it to the top Maths group and was being prepared to take level 6 Maths SATS! What a jump! By the end of year 6, he was one of the few who took SATS level 6 exam. That boosted his confidence to no end! He has now joined a very good high school and was placed in the top set. When I went to meet his teachers midyear, they all had wonderful things to say about his personality and work ethics. According to his tutor, he is one of her favourites because she doesn’t hear any complaint from any of the other teachers. He works hard in class and always meets deadlines. He also produces very good work and brings in high standard homework on time. He is popular in his year group and he made so many friends. Even older pupils like him which was made apparent to us when we went to events at his school. Best of all we were invited to the school’s award ceremony because Daniel was nominated for an award. He was awarded a certificate for computing. Seeing him on stage was absolutely wonderful, a truly proud moment for us. There are so many areas Daniel has excelled in these past couple of years. He is learning Latin and Spanish at school and is actually good at it. He takes guitar lessons and had a very good report from his teacher. His swimming ability has also improved quite a lot. Not to mention his diet. He is very careful of what he eats at school and understands more about the ingredients used especially in packaged food. Therefore, he avoids highly processed foods etc. Oh and of course the computer games!! He is truly unbelievable when it comes to some of the games he plays. He has made a number of YouTube video tutorials on said games and even has loyal followers!! Dr. Pauc as you can see, I can go on and on about how well Daniel is doing since that first meeting with you. We can never thank you enough. You have worked your magic on him! We think you are amazing. He thinks you are amazing too. If there is anything we can do for you, please let us know. I got your book today “Is that my child” and though I’m only 2 chapters in so far, I’ve been sat here with tears rolling down my face because finally after 3 years of scrolling through countless books, articles and websites and asking Health Professionals, and finding it all so confusing and mind numbing, suddenly all the little problems and everything that is unique to my son, is there in black and white and explained so clearly, and I feel relief that there is hope!! 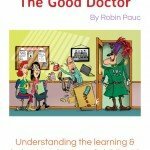 I just wanted to say THANK YOU for making such a complex subject so easy to understand, readable and with a twist of humour it makes the book a pleasure to read and offers parents like myself a chance to help their children. I thought you might be interested to know that Daniel received a special award at school last week, presented to him by the Head, for achieving 100% in a Maths test. His scores previously were around 60-70%! Thank you for all you have done for Daniel. We wanted to let you know the results of Ian’s 11+ – HE GOT INTO ALL HIS SCHOOLS! Obviously we can’t scientifically quantify exactly how much your programme has benefited Ian but, we can be quite sure that without it (and your continued support) results like these would have been a lot less achievable. 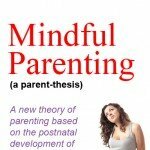 I thought i would write and let you know how much your book ‘Is that my child?’ has helped my son. We have followed the advise and guidance within the book and during the Christmas holidays and this school term i have to say that his teacher and i are completely amazed at this ‘new boy’. He is now loving, kind, affectionate and attentive. His school work has improved beyond belief and has even begun to help other children in class once he has finished the work set for him. We have followed the diet plan, which has eaten by all the family and has even improved our health. We saw an almost instant change in Joshua once we began the diet plan and omega/zinc combination and your advice has truly changed our lives. 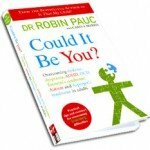 I was given Robin Pauc’s book – “Is That My Child?” – by a friend of mine and as soon as I opened it I was so excited as I knew he could help my 6 year old son. Max was a premature baby, a bad sleeper, terrible with taking milk, a fussy eater and always seemed to be 6 months plus behind other children. He also had eczema and asthma plus constant chest infections at least every 5 weeks, so much so that we went through harrowing tests for cystic fibrosis, which thankfully came back negative. We booked an appointment ASAP to see Robin as Max was falling behind with his school work, not through bad behaviour but with time off school and also with what they thought was dyslexia , which we didn’t expect either!!! The beauty of seeing Robin is that you phone the clinic and immediately speak to Robin himself or his charming secretary and they are quite willing to spend time talking to you and giving you time and more importantly care. Robin assessed Max and my son adored him. Robin is fabulous with children. Max listened to everything he said to him with regards to diet exercises and the outcome was that Max had a delay in the cerebellum (back part of the brain). We immediately put Robin’s plan into action. The most amazing results came more or less within days but within two weeks we had a completely different son. Max was sleeping a full ten hours every night in his own bed, which was unheard of. He had started getting ten out of ten for his spelling tests, he wanted to colour, draw and write stories every night he came in from school. No more was I having to argue with him to stop watching television – to summarize he was a totally different child and so much for the better. Within six weeks Max was up a level on his reading and the school couldn’t believe the difference in his reading and writing, so much so that they repeatedly asked what we were doing with Max at home. Fast forward to the present day: Max has gone from 7 lots of puffers and medication to being discharged from hospital altogether being free from the asthma and for the first time ever his body is now starting to fight the germs as his immune system is working and he looks a far better colour. Max won the literacy award for his year which was the most fantastic news we had, plus he had a terrific report. I phoned Robin with the news and he was as chuffed as we were, which was great for us to be able to phone him and speak to him ourselves. 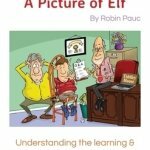 We are still seeing Robin as we want now to address the dyslexia. He is progressing so much, everybody has commented to us that he is a different child and for us it’s a miracle. Please try Robin and his theories. He isn’t saying after a couple of visits your child will be cured, what he is saying is – listen and be advised by him and his diets and methods in his books and you will very quickly see an improvement in your child and then Mother Nature will kick in and before you know it you will have a very different child. We will always be indebted to him and his books as my son is living testimonial that his methods do work. Hello, my name is Lewis and i am 9 years old. 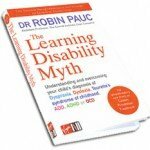 When i was nearly 5 i was diagnosed with ADHD and Tourette’s syndrome. My mum and dad took me to see a brain doctor because i kept on blinking, clearing my throat and moving parts of my body all the time but i couldn’t help doing it. My behaviour was also really bad because i couldn’t sit still or concentrate much on what the teachers were saying. When i was 4 my parents were told by the nursery school i was at that they didn’t want me to come back because i was to naughty and they thought some thing was wrong with me. I went to another school called Leatherhead Trinity and got told off lots for doing things i couldn’t help then i went in to year 3 with a teacher called Mrs Shepored and she understood me and she was calm and kind and made my work easy. Having Tourette’s syndrome can make me feel stressed, angry, annoyed and sad because i find it hard to concentrate and try to stop doing my tics at the same time. 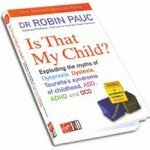 My parents didn’t want me to have any medication so I’ve been seeing Robin Pauc since i was 5 and he told me that I’ve done really well and I’m almost better because I’ve tried so hard with all my computer programmes that he has given me and stuck to a really healthy diet with 2 treats a week and i am close to having no tics at all and my mum and dad and the school say that over the last 2 years my behaviour is lots better! I still find things hard now and then but everything is getting better and better and i love having the day off school to travel to the New Forest to see Robin Pauc cos he makes me laugh. I just wanted to let you know that this week I got an email from Ethan’s teacher saying that he had done some excellent high quality work in DT & pneumatics!! Which was great getting an email, saying that instead of the usual that he hasn’t been doing his work. It looks like things are really improving for him so thank you so much and we look forward to seeing you again next month. Yesterday, Charlie came home with a D & T award for this term’s work. Today, he has come home with a £10 voucher (he has to buy a book with – to be awarded at prize giving ceremony) for being awarded the History prize for year 7!! Also, pupils are given 9s for progress – he is up to 99 so far this year!! I am just e-mailing you to confirm that when Tom gets all his stars on the Vision Therapy programme I need to let you know? He is doing well (I think). We started on 8th March and he has finished 1 exercise already. He got a “star writer of the week award” at assembly last week!!! This, from a child who last year couldn’t write a sentence, didn’t use vowels and whose teacher had to take his work to the Y1 teacher to decode !!! He is also now having the Vegepa Chewables! I wanted to let you know how well Tom is doing since he started the Tinsley House programme 6 months ago. He now sleeps through the night on his own and without my husband and I sleeping with him…this is the first time in 9 years! He eats so much better and implementing the dietary advice really hasn’t been hard at all. In fact my husband and I have also started eating low carb and have each lost half a stone! Toms bowels are so much better. Last year he was close to being put on an NHS waiting list for hernia surgery…turns out the pain was simply bad constipation. So following your advice has saved my son from unnecessary surgery! He is – for the first time – following the 50th centile curve on the NHS growth charts. He is less anxious, more confident and his school work has Improved immensely. In other words he has made 2 years progress in 1 term. His end of year report was great…he was “very good” or ” good” in all his subjects. I have found that the Vegepa fish oil capsules have really made a vast difference to Dominics behaviour. He has taken one capsule a day as advised since late July this year and the results are visible. 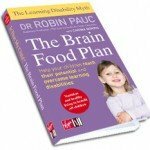 I would recommend Vegepa to any parent who has a child with the same or similar symptoms as Dominic. Once again thank you for your continued support. Without you I dont know where Dominic would be today. You have helped transform both his life and our family unit. Just a quick e-mail to tell you how well Tom has settled into year 5. He has only been back at school for a week and has already got 2 certificates for his times tables!! 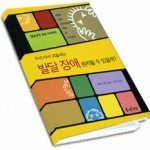 His teacher is very pleased with his reading too and I think he will be an independent reader soon. I simply cannot believe how well he his doing compared to last year. He is finally working to his potential.